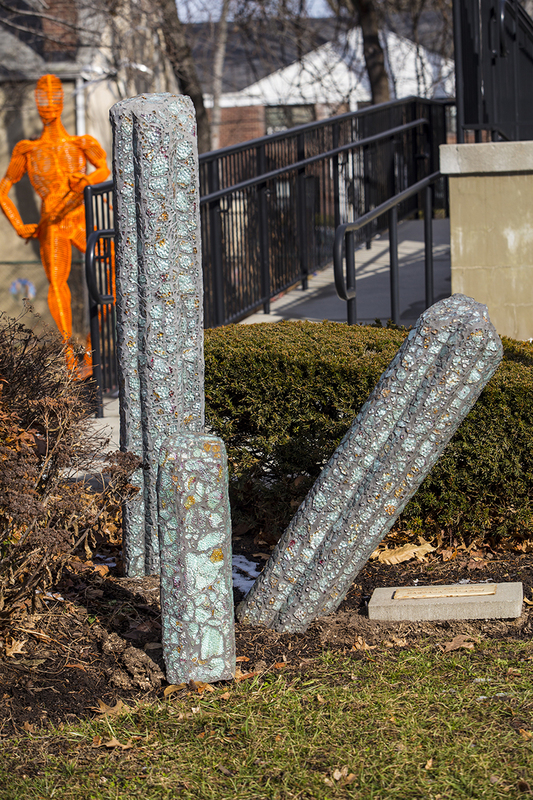 This mosaic piece is located in the sculpture garden and named “Memory crystals” – after the crystals used as storing devices in the Superman films. Researchers now claim that using ultra-fast lasers, we can now encode a piece of quartz with 5D information in the form of nano-structured dots separated by only one millionth of a meter. It is made of painted tempered glass, cement and grout. Barbara Galazzo’s award-winning creations have been featured in major galleries, museums, and commercial installations. Her work is part of the permanent corporate collections of Kaiser Permanente, Washington DC; Northwestern Hospital, Chicago, Il; Fairmont Princess Hotel, Scottsdale, AZ; the Mayo Clinic, MN; and Ruth’s Chris Steakhouse, Knoxville, TN. 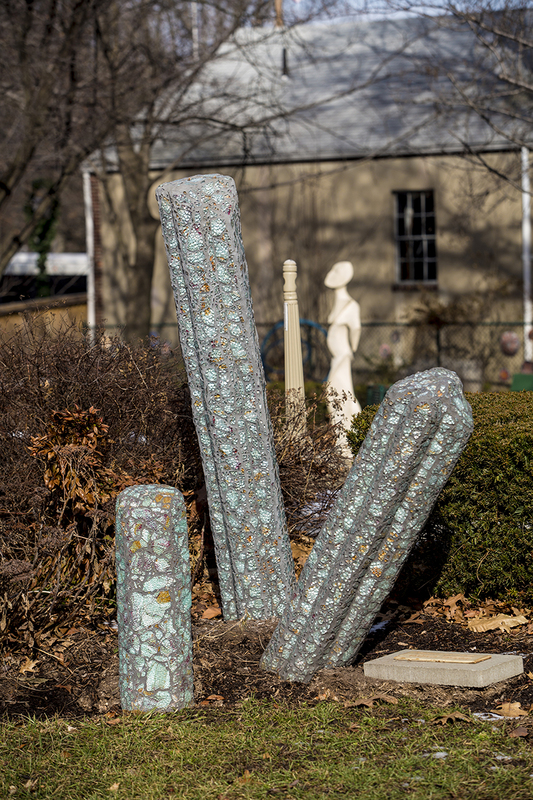 Galazzo is a curator, director and art promoter having created the ArtFull Living Designer Show House, Cold Spring Arts Open Studios Tour and is the curator/director of Gallery 66 NY in Cold Spring, NY.